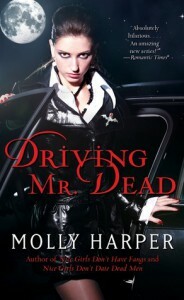 Molly Harper does the funny vampire store as well as anybody. Nice little novella for a rainy afternoon read. In the same world as her Jane Jameson books, this is a strong and silent vampire who happens upon a klutzy, sweet and ultimately very strong woman who makes his undead life complete. This ain't no Dracula, but it is a lot of fun.